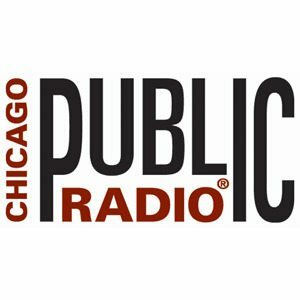 A program note: I’m going to appear on Chicago Public Radio’s Worldview to discuss my new book “Wrestling in the Daylight” with Jerome McDonnell on Wednesday, September 5, 12:00 pm (Central). Locals can tune in at 91.5 – everyone else can catch it streaming from the WBEZ website. Chicagoans: the gala launch party for “Wrestling” will take place this Thursday, September 6, 7:00 pm at The Book Cellar in Lincoln Square. (Click here for the FB event page). This entry was posted in Books, Israel, Palestine, Radio on September 4, 2012 by Rabbi Brant Rosen. I read your post at Mondoweiss on your transformation. My understanding of the term “tikkun olam” is to make whole. It is an expression of caring, nearly equivalent to the native American term “all my relations”. The majority of my relations are close to home, God, self, wife, children, mother, close friends, extended family, neighborhood, community, professional colleagues, regional political participation, Judaica (, family of families, including Israel), US, humanity, in that order of importance and magnitude. Most Americans, most Jews, are not that involved in their communities, even their families. We all live largely in the various anonymous commercial and other abstracted relations that comprise modern, and urban cosmopolitan life. Its a great thing that you are so concerned about others’ community. Its clear from your commitment to rabbinic life, that you are concerned about the community that you are a part of, that you lead. If the two are compatible, you will have found a way to live ethically in all your relations. If they are an either/or, not ultimately compatible, and you choose Palestinian solidarity over commitment (in time and personal sentiment) to the community that you serve, then you will have chosen a self-defining way to alienate your relations in favor of solidarity. What I call “making holes”, that looks like “making wholes”. The relations of Israel to the rest of the world, to Palestine (the West Bank is smaller than and surrounded by Israel) or to the Arab or Islamic world (Israel is smaller than and surrounded by the Arab world). It fits the common form of fractals. Both are true. Both the nakba and the holocaust continue. I unfortunately caught only the briefest moment on NPR today, but it sounded like something I’d want to hear more about. Pardon me if my comments may be redundant given my new status here. I was wondering about the view of Jews as the chosen people, and how that may influence their position of entitlement vis-a-vis Israel. Are US Jews placeholders for what is viewed as redemption via the “return” to Israel as a one-state land? To your point, Rabbi, is the historical position that Jews have been victimized (more than other ethnicities) something that prevents Jews from joining with the rest of the world, and perpetuates the stranglehold on open discussion, as well as on forward movement? Hi Jaxx, thanks for reading and weighing in. I think it is difficult to generalize about Jews’ relationships to Israel as state and as a homeland. While there are undoubtedly some Jews whose connections are influenced by the literal Biblical concept of chosenness, I think the relationship is ultimately more complex and affected by a variety of factors, including historical memory and political ideology. No, I don’t believe we can make any general assumptions about the motivation of American Jews vis a vis Israel as “placeholders.” It’s important to note that while the communal American Jewish establishment focuses on Israel to a degree that many find obsessive, a recent study has revealed that only 4% of American Jews cited Israel as their priority in the current election. My point in the interview was that our historical history of victimization affects our own sense of collective identity – and for many Jews it also affects the way we regard the outside world. Not that it “prevents us from joining with the rest of the world” or making “forward movement” (I’m not sure what you mean by that) but that for many, it creates an overall sense of unease and/or insecurity vis a vis our sense of safety and survival. The fact that only 4% of American Jews view policy towards Israel as the main deciding factor in the current election does NOT necessarily mean that “Israel is not important” to these Jews or that they don’t care about American policy towards Israel. In my opinion, this is due to the fact that American Jews view America’s pro-Israel policies and attitudes in a bipartisan manner, i.e. no matter who is elected, the US will maintain its traditional supportive policy towards Israel. Should the Democratic party begin to distance itself from this policy, as seems to be the case, I would expect American Jews to register their disapproval, in spite of their apparent addiction to voting for the Democratic party up until now. Recall that Jimmy Carter, who was perceived as being hostile to Israel in the 1980 election received only something like 40% of the Jewish vote. Caught the end half of the show. Highly disappointing to hear of someone, a rabbi nonetheless, arguing that justice demands Israel change its ways. You question whether Israel has become what many have feared themselves, an aggressor, based, it seems you say, on the fact that Israel cannot be a victim since it is such a powerful country. Cannot a mighty power fall victim to lesser forces? Was the U.S. not a victim to the September 11 terrorist attacks? Are you suggesting that America was the aggressor and, somehow, deserved the tragedy the unfolded in New York, Washington DC and a field in Pennsylvania? Might does not make Right – but Right can wield Might. How can Israel be expected to withdrawal its forces and extend equal freedoms to the Palestinians when they refuse to recognize Israel’s right to exist? When their charter calls for the destruction of Israel? What you call aggression, many of us see as self-defense. Government should be just. Government should be kind and fair. But how to you place a gun in the hands of an individual based on equal rights and just and fair treatment when you know that gun will be used against you? You also suggested that you support divestment of Israel as a proper form of non-violent protest. You praise this method as a just means of being heard. I recognize that the position of the Hamas government in Gaza does not represent the opinions of all its citizens. I recognize that harm does come to the many for the sins of the few. So it is just, therefore, to boycott Israel. I say not. Justice is a two-way street. Boycotting Israel and her products harms all of Israel, those who support the government as well as those who do not. Why is it just to support the boycott which harms innocent Israelis when it is not just to support the policies of the Israeli government that harm innocent Palestinians?